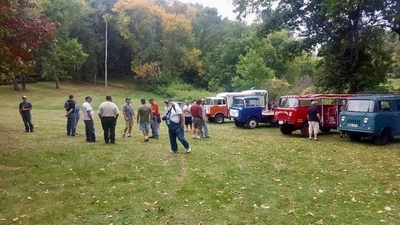 Well, the middle of September is always a good time to have an event and Dan DeVries from Lake Mills, Iowa decided that it was indeed the right time for an FC Jamboree! 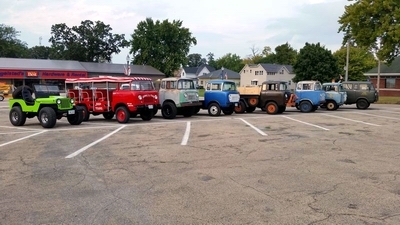 What had hoped to be a FC tradition last year was the JEEP FC Military M-Series Gathering hosted by long-time FC owner and collector Dan Horenberger. It tragically ended with the untimely passing of Dan H. shortly after his event. After some reflection and talks with Dan Horenberger’s family, Dan DeVries decided what better way to honor his old friend than to carry on the tradition of a Fall FC Gathering in his memory. With the possibility of bad weather in the forecast and his first hosting of a FC event Dan pushed forward and it really turned out to be a great show! People came from as far away as Florida to the sunny desert Southwest for this inaugural event. There were 17 FC’s at the Jamboree. A great turnout and many new and old friends alike were in attendance. Keep your calendar’s marked as this show will be happening again next year. Next year’s theme…. Campers!